Welcome to the Health.edu Public Access site! 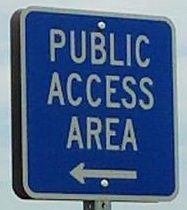 The Public Access site offers selected educational courses to the general public at no charge. To complete a course, click here to register. Once you are registered, you are welcome to complete any course listed in the public access site. Be sure to check back for new programs throughout the year. In addition to the Public Access courses, Health.edu offers a variety of continuing education courses in 16 accredited disciplines for a variety of healthcare professionals. If you are a Texas healthcare provider, and are interested in Health.edu programming click here for more information. If you have questions, please contact Health.edu at 1-800-424-4888.